Simple selection of the runtime environment (TEST or PROD). Different encryption keys for sending and receiving data, for enhanced security (SHA1-IN / OUT-SHA1). 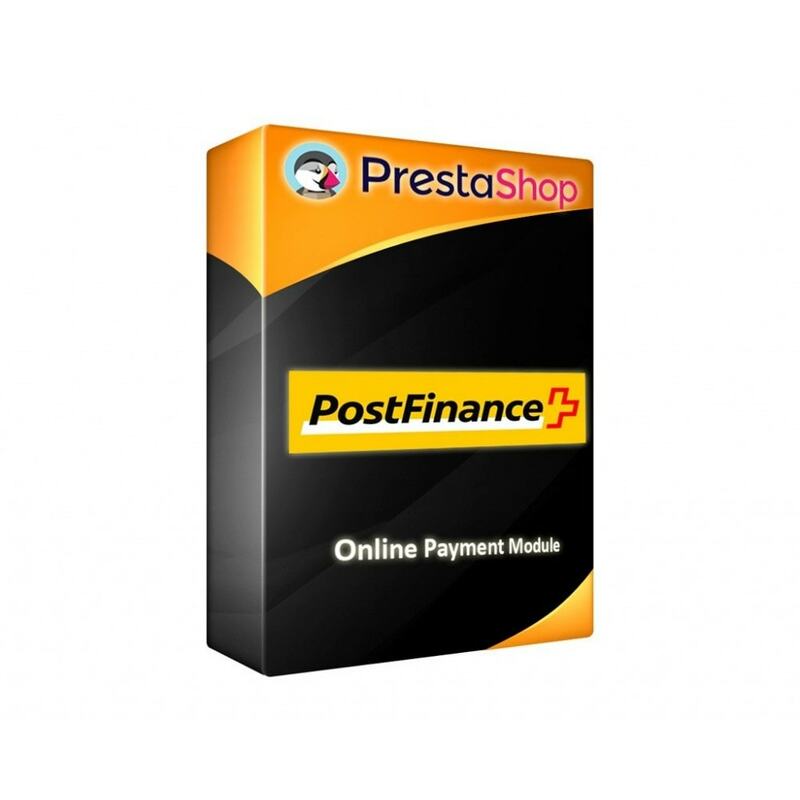 Help to install payment module Prestashop - PostFinance. Supports the status 91 of Postfinance. Languages: English, Frensh, Italian, Spanish, German. 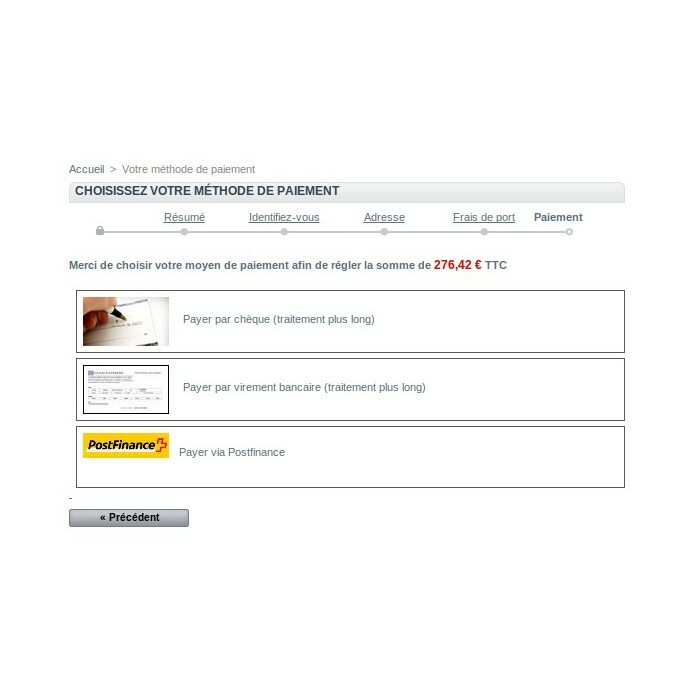 Your customer will be transferred to the payment gateway of PostFinance E-Payment to pay by credit card. Choice of multiple Swiss payment methods from PostFinance as well as most international credit cards. A high level of security assured on online payment transactions. 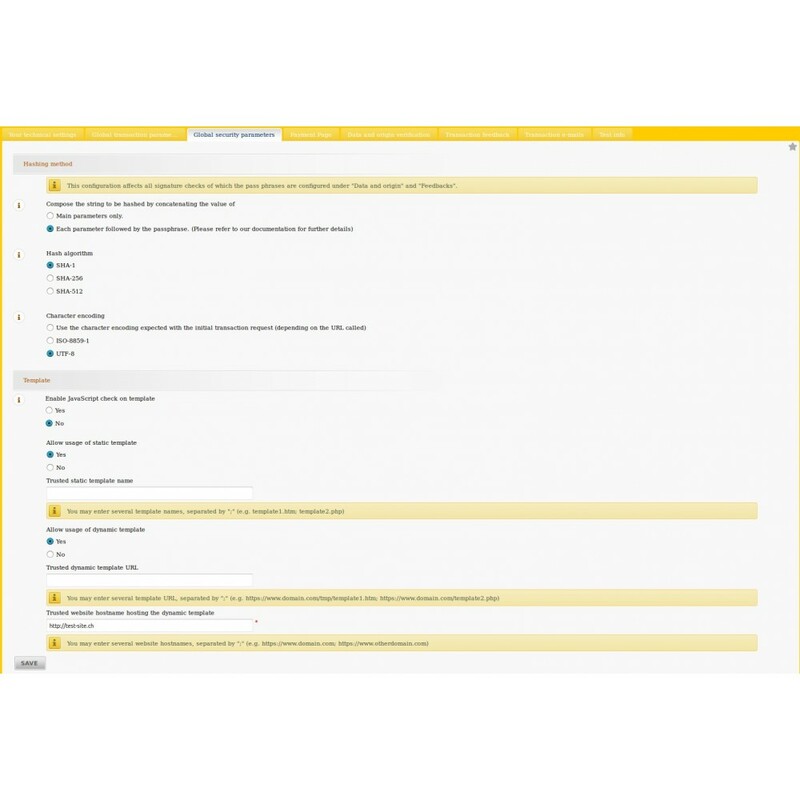 Be able to buy on your site in several languages ​​and several currencies with a module translated into 5 languages: English, French, Italian, Spanish and German.